Last Friday evening the Washington Nationals lost a ballgame. 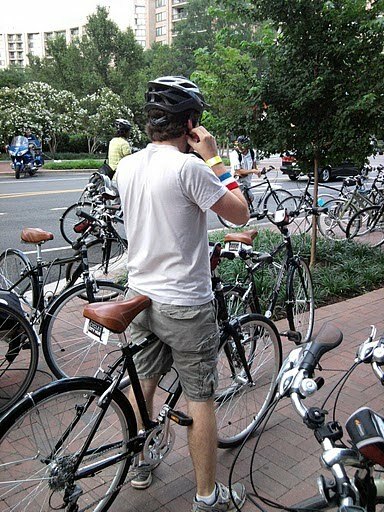 That is nothing new. 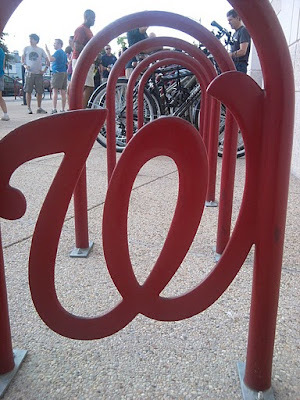 But in attendance -- donning red curly W Nats hats given to them before the game -- was a group of Washingtonians who chose to bicycle to the ballgame. Now that is something different. 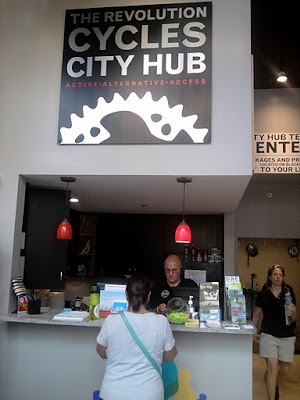 The popular area bike shop Revolution Cycles held the highly organized bike ride from their new City Hub bike rental and sharing location in Crystal City and in my view it was first class all the way. 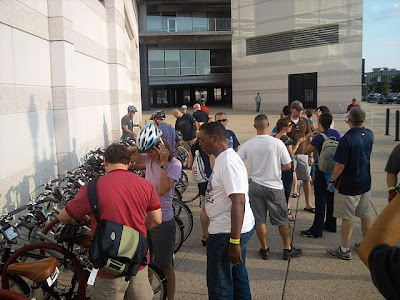 For only $40 they provided a bicycle, helmet, ticket, hat and a guided ride led by Revolution's bicycle advocate Angela Koch. She had already scouted the route which was just about perfect. 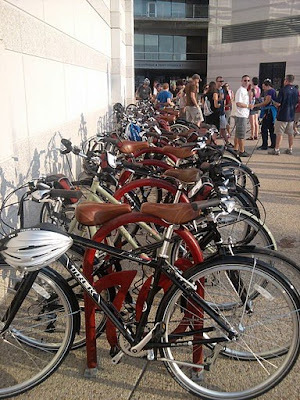 The City Hub staff made everything seamless by locking up all the bikes for us so we could focus on enjoying the game. They also had our bikes ready and waiting with headlights and tail lights turned on and glow sticks for us to wear around our necks for the night ride back across the Potomac River to Crystal City. So while the Nationals lost the game against the St. Louis Cardinals, we all won because of the successful group bike ride thanks to Revolution Cycles. 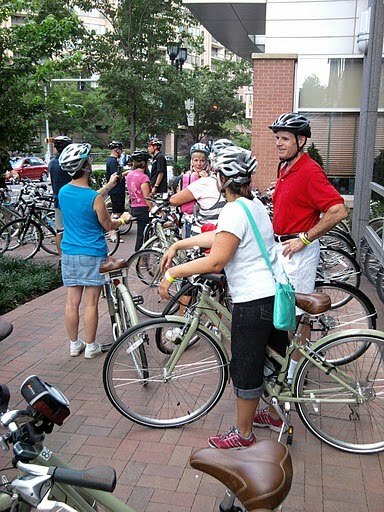 For more information on future group bike rides in the D.C. area click here for the City Hub events website. 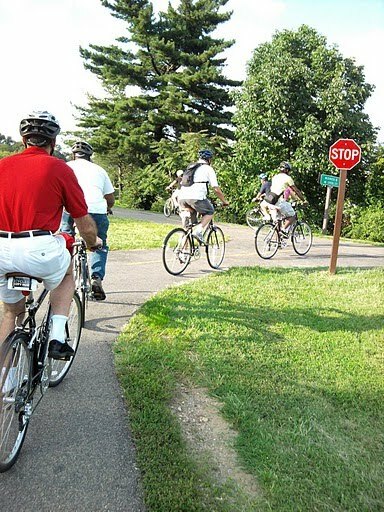 Here are videos I took while on the bike trip. 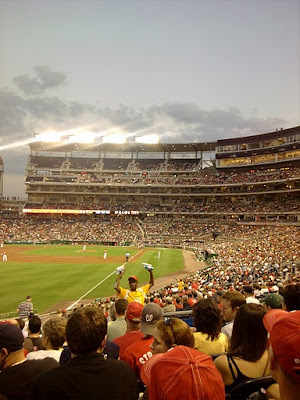 You can see the route we took from Crystal City to the Mount Vernon Trail past National Airport to the 14th Street Bridge to Hains Point to I-395 to Maine Avenue and the Southwest Waterfront and then down Half Street to Nationals Park at South Capitol Street. 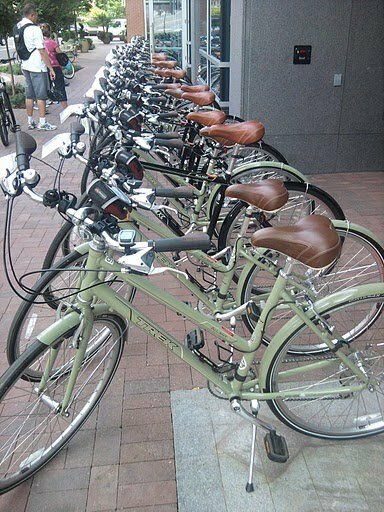 The bikes that City Hub provided us all had our name and a number on them and we were given an ID bracelet to wear with the number so we would easily identify which bike was ours. 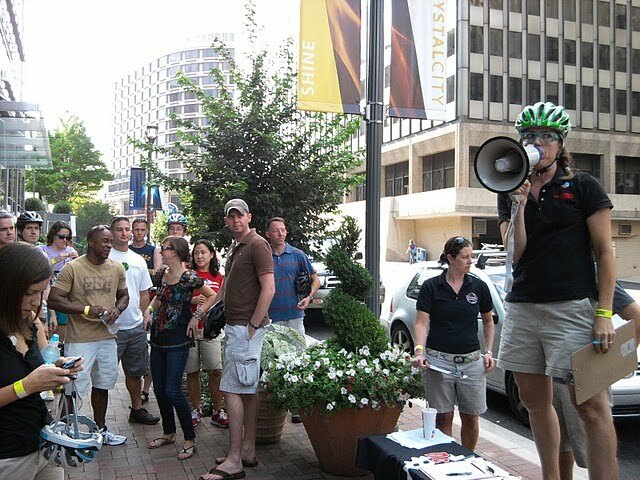 Group leader Angela Koch gives pre-ride instructions at City Hub Crystal City.